Dance groups from around the world have converged for the 30th anniversary of the International Folkfest in Murfreesboro, as part of an annual celebration of cultural heritage intended to promote the arts. The weeklong festival kicks off today and will last until Sunday, June 17, in Murfreesboro. As part of the event, groups will perform for area schools, youth and senior citizen organizations, as well as civic clubs. “It is a chance to see people in traditional costumes from different cultures express their heritage,” said retired teacher Steve Cates, who serves as director of the International Folkfest. The festival is sponsored by the International Folkloric Society, a local nonprofit organization that promotes and preserves international cultures with primary focus on the arts. Among the acts performing during the festival are the well-renowned Cripple Creek Cloggers, one of the many Rutherford County organizations sponsoring the event. This year marks the 45th anniversary of the Cripple Creek Cloggers, which Cates founded when he was a teacher at Kittrell Elementary School in Readyville. What began as a desire to share Appalachian-style square dancing traditions with Middle Tennessee students grew into what is today the Cripple Creek Cloggers – world-renowned group that has been featured on national television shows and performed for numerous dignitaries. “When we travel with the Cripple Creek Cloggers to Europe each summer, we make contacts and build relationships with various groups,” said Scott McCurley, president of the Planning Council for International Folkloric Society. He said many of the groups that have performed during the International Folkfest agreed to come to the United States after participating at European events with the Cripple Creek Cloggers. The festival, which began in 1982, has introduced Rutherford County residents to the dance traditions of more than 50 countries, including India, Ireland, Russia, Sicily and Yugoslavia. This year, performance groups from Belgium, Austria and Czech Republic will be gracing the local stages. 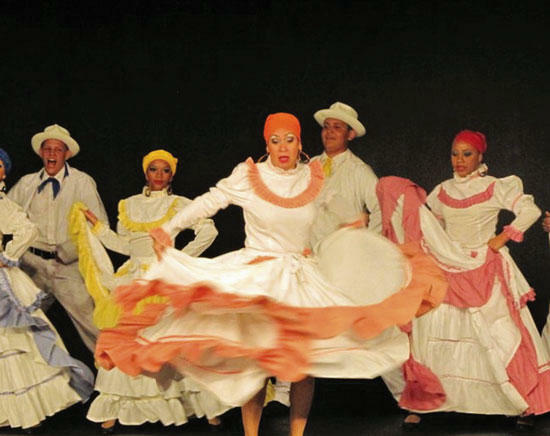 Festival attendees will also have the opportunity to enjoy one of the most popular acts from last year, the Folkloric Ballet Son Borincano from Puerto Rico. In addition to the educational opportunities, the International Folkfest is a family friendly celebration that offers engaging entertainment through diverse performances, Cates said. “People of all ages will be able to learn about other countries through artistic traditions that have been passed down from one generation to the next,” he said.